Like many of you who are afflicted with wanderlust, we too have planned a getaway for this year. Although we will selectively choose tours when we arrive at our travel destination, we enjoy paving our own way instead of signing on with a larger group through a travel agency. Call us loners if you will, but we prefer the ability to be spontaneous instead of having to adhere to a more rigid schedule. The beauty of travel is that it can be planned on your own or you can sit back and have someone do all the planning for you; the choice is yours to make. I will admit that our upcoming trip has been more labor intensive to design than most, due to the remoteness of our destination, that we are planning to be gone for 3+ months, and we are traveling during the shoulder season when transportation schedules get a bit sketchy. But to travel to an area where I have longed to visit for so many years, I will gladly do the time. Soon we will be heading to a land of untouched natural beauty and unforgiving weather, where wind, rain, sleet, and snow can all be experienced in the same day, I have read. Our travels will take us to a mythical, sprawling, wild land that has barely been settled since humans first arrived tens of thousands of years ago. Since our passion is nature and being in the wild, I cannot think of a place that will embrace this wild need better. Our travels will find us hiking through many national parks filled with majestic mountain peaks, vast wind-swept steppes, creeping glaciers and ice fields, and with an abundance of wildlife. Some of the more colorful feathered creatures waddle around in tuxedo-like garb or strut their stuff in fluffy pink tutus on long, elegant legs. Many of you already know where our travels are taking us but for those who do not, have you guessed yet where we might be headed? 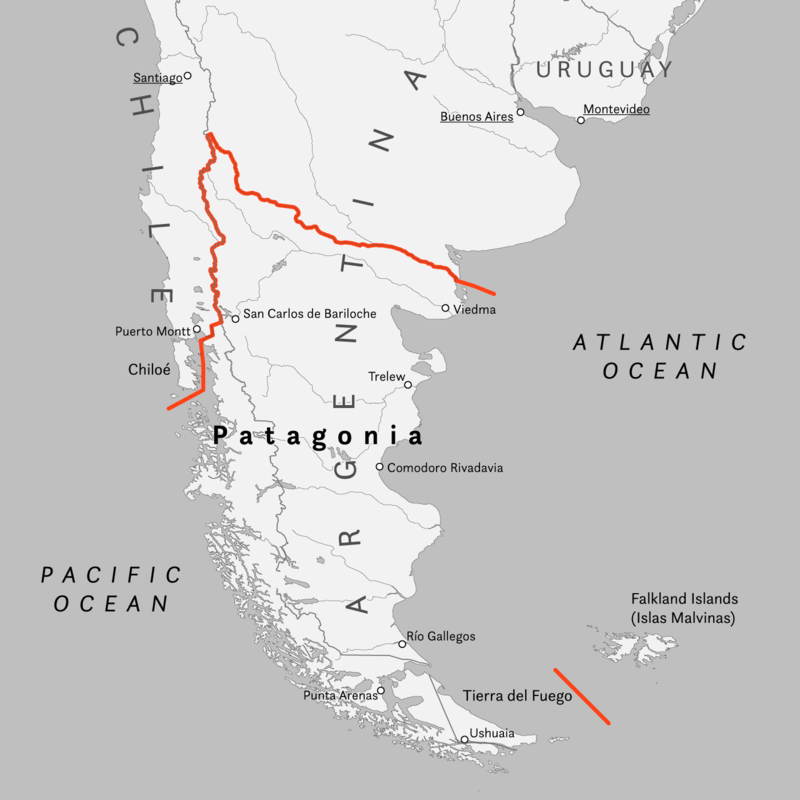 Yep, we are off to Patagonia next month, a remote land I have dreamed of for so long. During our stay we hope to soak in the culture of Chile and Argentina, along with wrapping ourselves in raw wilderness. Until then I will be dreaming of “pats” of flamingos, dancing their way to their mates. Oh my! I am looking forward to reading more about your adventure! flamingos seem like such comically magical creatures… I’ve never seen one in the wild. Thanks! I have not seen flamingos in the wild either. I can hardly wait! Come along! It would be a blast. There will be plenty of hiking and so many birds!!! Wish you two were tagging along. As are you two! How funny that you two are going to Patagonia almost at the same time. So exciting! I can’t wait to live vicariously through you! Thanks Lisa! We are getting excited! Sounds like an amazing excursion – worthy of a new camera 😉 I look forward to seeing and reading about this once in a lifetime trip. That flamingo video was great! Thanks Ingrid! I am really looking forward to seeing the flamingos and king penguins. When do you go? We’re off to Japan and China for May/June. We bought a one-way ticket because we aren’t certain how we will feel about the length of time we are planning. I have read and re-read your posts, printed them out, discussed them with hubby. Yours is the blog we are using to design our trip. Thanks so much Alison! Wow, that’s a great compliment. Thanks LuAnn. I’m thinking you’ll be doing some longer hikes than we did – and there are plenty available! I’m sure you’ll be able to find out about them. You two couldn’t be better role models for us Alison. Thanks Pam. I’m looking forward to the hiking and the photography opportunities. Take me with you! This must be the place to give your new toy a good work out so am looking forward to photos of the raw wilderness. How exciting! Wow! Looks spectacular. Can’t wait to see your posts. Have a great time. What an exciting amazing trip you have planned!! The photos have me ready to go too 🙂 We have not been to Patagonia although we have spent a considerable amount of time in Buenos Aires, as we used to have a business (in another life) of importing unique pieces made by artisans, to the States. We loved our visits and once headed North on an adventure, but have not yet been South. I look forward to following you and reading about your discoveries. Three months, wow how blissful! Thanks Peta. We are getting very excited! It’ll be an amazing adventure, LuAnn! I enjoyed Argentina (Buenos Aires, Iguazu Falls, and Bariloche) and wrote about it on my blog. I’m going to Chile in March to visit Santiago and the Atacama desert. Look forward to reading your posts. I think you’ll be amused by the flamingos in the wild. What an amazing trip you have planned. Are you driving your RV there? We think it will be very exciting. No Karen, we will be flying. Driving an RV that far is just not something we think we could ever do, although we know it is possible. Oh my. I never would have thought about Patagonia. The photos have me all excited. Glad I can hop a ride and see the beauty of this country through your lens. Enjoy and be safe. Thanks Marsha. It should be a wild ride. I am soooooo excited about your next adventure. How’s your Spanish? Will the flamingos be in their mating season, while you are there? I hope so! Looking forward to all of your posts, including your wonderful photos. Have a great adventure and stay safe! Thanks Joan. My Spanish is coming along but will never be good enough to be able to pick up on the rapid-fire responses I might get from the locals. 🙂 As for the flamingos, I have not done any research on their mating season. I will just be happy to photograph some. Every time I watch their mating video, I laugh! Thanks Roger and Gayl. It should be quite a trip! Wow! Your photos alone take me there! I know your experiences will be wonderful and special. You always find the beauty and adventure wherever you go. I am getting to the point of being satisfied with adventuring vicariously; through my friends wondrous trips, through my adventure reading, through the visuals on TV. The number of days of actually going places, narrows yearly. I hope to replicate some of those photos with my own camera Gale. I know what you mean about living vicariously through others. We know we don’t have a lot of years left to do these sorts of adventures, so we are getting after it! Wow, wow, wow. SOOOOOOO excited for you! Thanks Nina. It should be a great trip. Wow that sounds astonishing LuAnn. It’s an area we would love to explore. I’ll be following along and looking forward to seeing how you are moving about and where you are staying too. Very best wishes on your adventure! I am taking copious notes for those who might need some help in planning a similar trip. That’s fantastic! We may well come asking for those. I’m looking forward to the video of you and Terry doing the tango. Terry and I stil find ourselves wondering if we should have changed our initial plans as we become more outraged with our administration every day. But there is no turning back now, and we know this is an active trip we might not have too many more years to complete. Patagonia will certainly be a good way to get our nature fix. As you know I am so excited for you LuAnn! If you can make it to Punta Arenas and do the W trek in Torres Del Paine that is the favorite thing I’ve done out of my four trips to Chile and Argentina. Three months will be paradise! Thanks Nicole! We are very excited. Thanks so much! Hope to be able to post while we are in South America. We have never been. I will be watching for your trip and will follow along! There are beautiful places and what beautiful photos. We are getting excited, feverishly pulling our final plans together. Thanks! Stay tuned for some photos! Three months! I am envious 🙂 This series promises to be a treat LuAnn. Shall return to savour the details at leisure. Chile is next on our radar, so I hope to gather some inputs.